Hello.. I hope you're all having a good week! 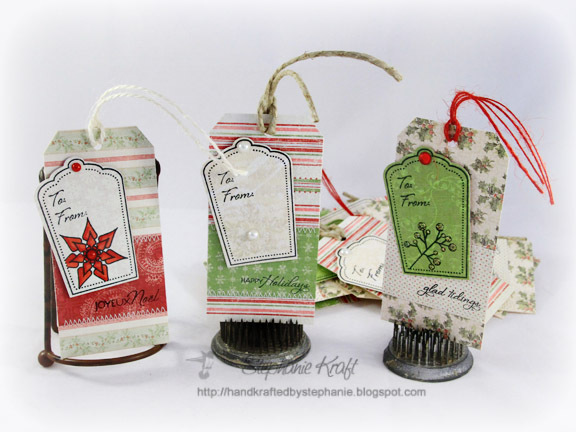 I've been making some tags to package up some Christmas goodies and thought I'd pop in and share them with you. I made a trio of projects, which is what the Verve Project Parade is for this month... "Triple Play" is the theme to be exact. One lucky participant will win the January release and be Guest Diva for the month.. so fun! I'm not eligible to win, but I thought I'd play along anyway. 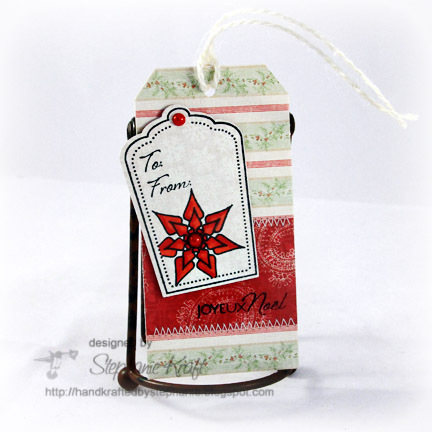 For my first tag, I stamped and colored the poinsettia from Merry Wishes. "Joyeux Noel", "To: From:" (and the sentiments used on all tags are from Glad Tidings). 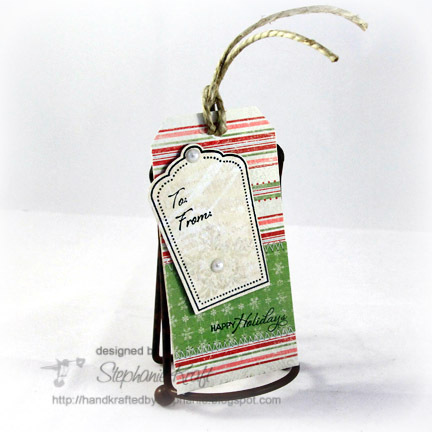 For my second tag, I clear embossed the middle snowflake from Glad Tidings on the Sweet Scallop tag. 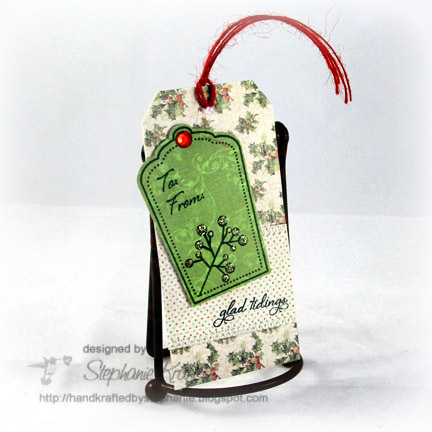 For my final tag, I stamped the largest solid berry sprig from Merry Wishes and added Diamond Stickles to it for some sparkle. Accessories: Sweet Scallop Die (Verve), Markers (Copic), Clear embossing powder, Diamond Stickles (Ranger), Pearls, Rhinestones (Kaisercraft), Twine (May Arts and craft supply), Foam tape, Thread, Sewing machine. These are all so pretty! Just fabulous! I love your tags Stephanie! Fabulous tags. Love the patterns and designs on each of them!